Firm and juicy fresh blueberries make for a wonderful filling. Few dishes evoke as much nostalgia and as many warm feelings as fresh-baked pies. A perennial comfort food, the blueberry pie is undoubtedly a classic, but it also gives you perfect opportunity to experiment with your own signature fillings and crusts. 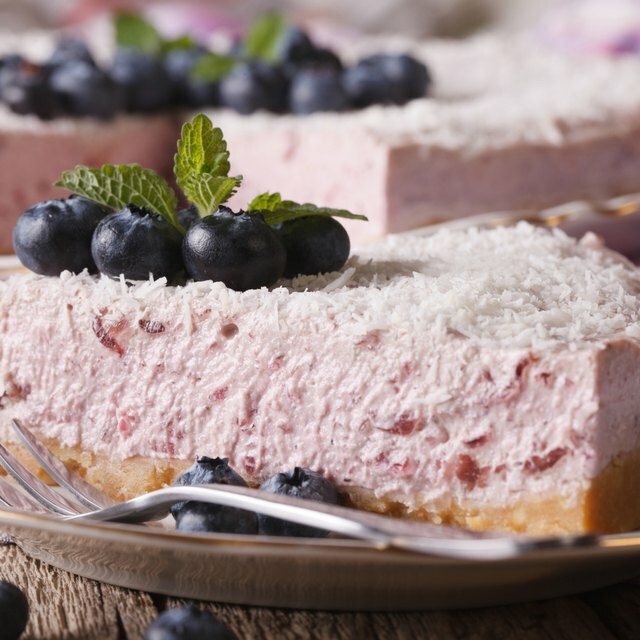 Of course, blueberries alone don't fill a pie -- to achieve a delectably thick consistency, you have to accent your berries with additional ingredients. Feel free to tweak the filling until you find a taste and texture you're proud to call your own. Mix sugar, all-purpose flour and cinnamon in a bowl. In addition to sweetening and flavoring the tart berries, these ingredients -- especially the flour and sugar -- are essential for thickening up your pie's filling. For an average-sized pie, you'll need about 3/4 cups of sugar, a half cup flour and cinnamon to taste. Try brown or raw sugar for a richer taste and thicker consistency. Stir these ingredients together with a spoon before adding the berries. 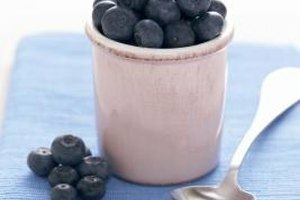 Fold the fresh blueberries into the sugar, flour and cinnamon mix and whisk the ingredients together until they take on a firm, jam-like consistency. Whisk in a few tablespoons of lemon juice or lemon zest and butter or margarine for additional flavor. Substitute cornstarch for flour in your mix to add a thicker, more jelly-like consistency to the filling. You can replace 1/2 cup of flour with a few tablespoons of cornstarch. Cornstarch also offsets sweet berries, so taste your filling as you mix the berries in. The more cornstarch you use, the firmer your filling. Allow your pie to cool completely before serving. This gives the filling a chance to set and firm up. If you want a firm filling with a warm pie, save some blueberry syrup from your filling mix and heat it on the stove top, then drizzle it over the top of the pie.